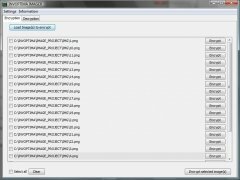 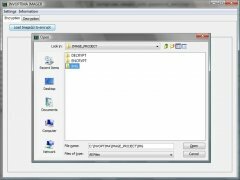 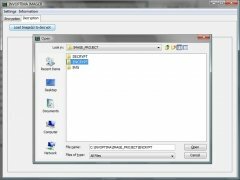 A lot of confidential information can be accumulated on a computer, and it is more than likely that many of these files are images. 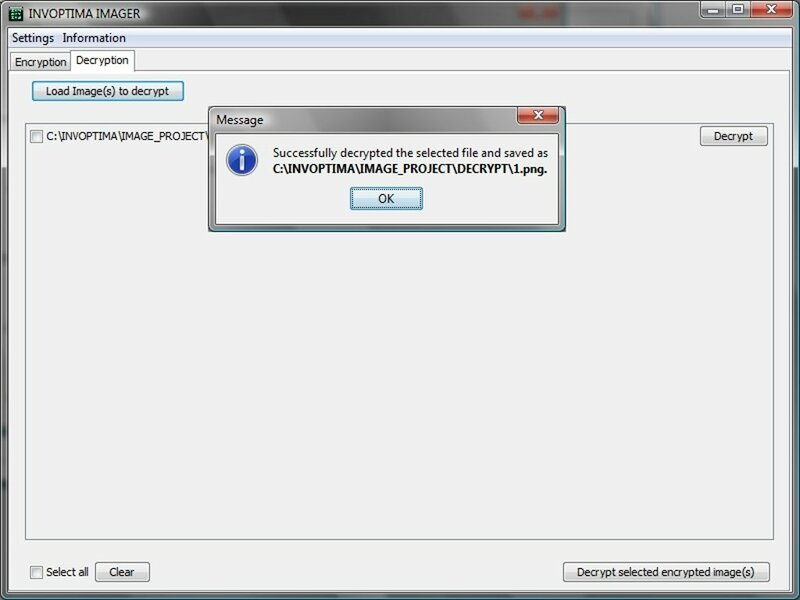 To be able to protect them, there is nothing better than Invoptima Imager. 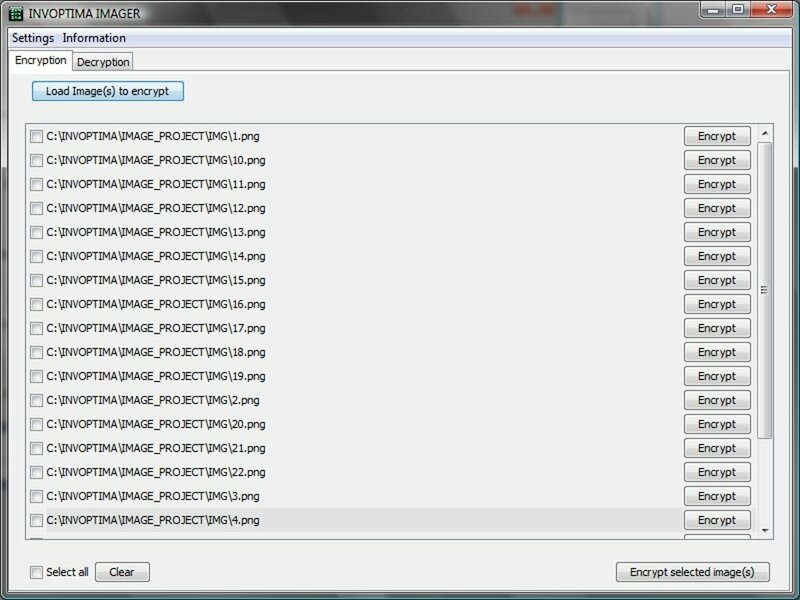 Select the images that are going to be encrypted. 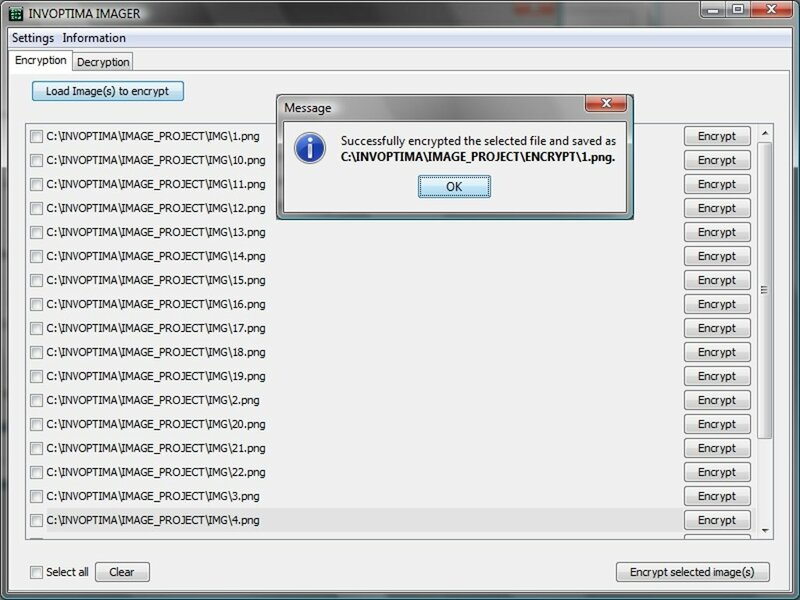 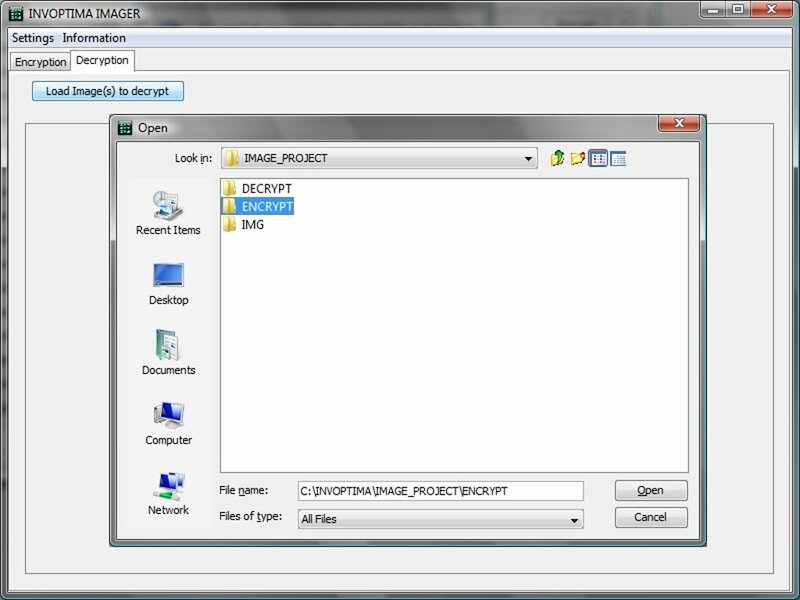 Choose the destination folder in which the encrypted images will be stored. 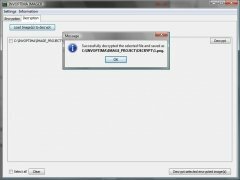 Once the process with Invoptima Images is finished the images won't be accessible without have gone through a decryption process first. 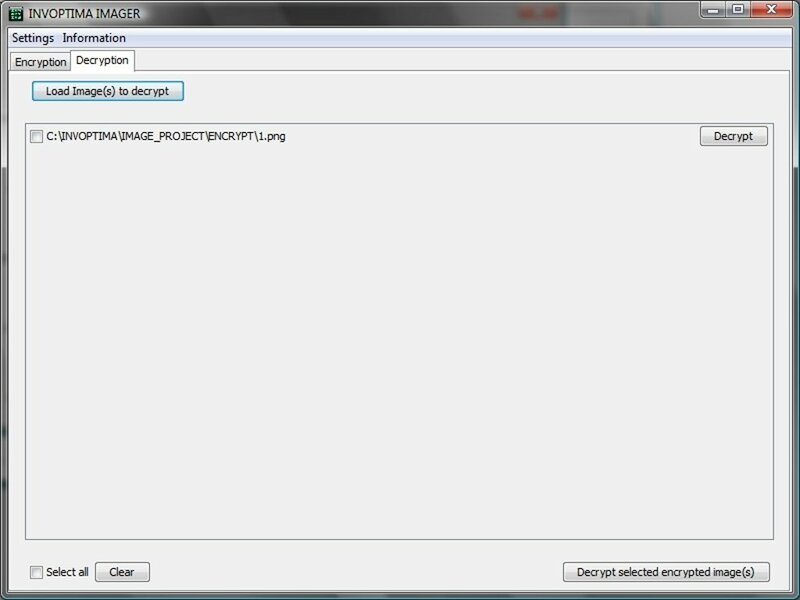 The process to decrypt the images is exactly the same obtaining the inverse result. 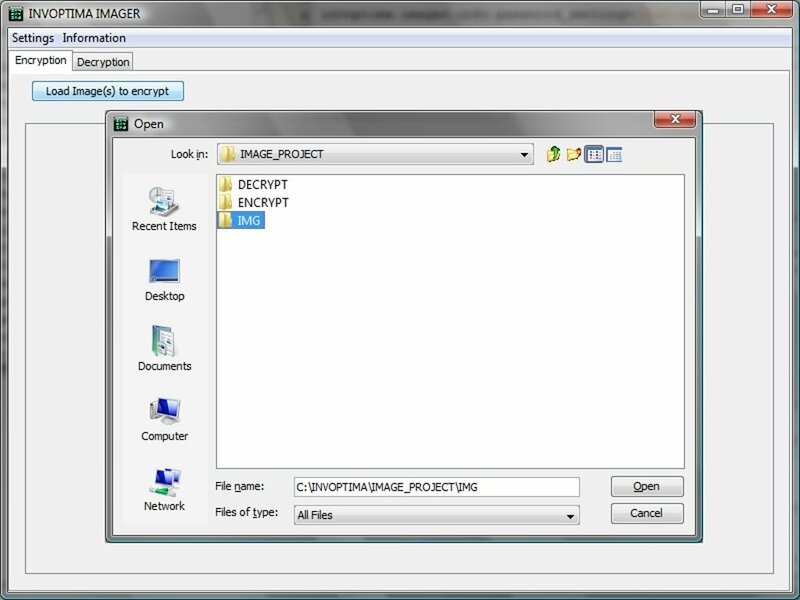 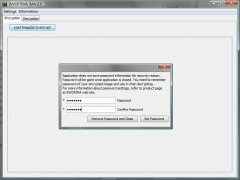 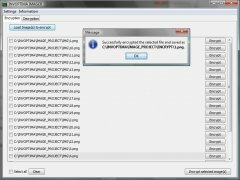 Therefore, if you have confidential images that you don't want to have accessible to everyone on your computer, all you have to do is download Invoptima Imager free. This download requires that Java 6 or above is installed. 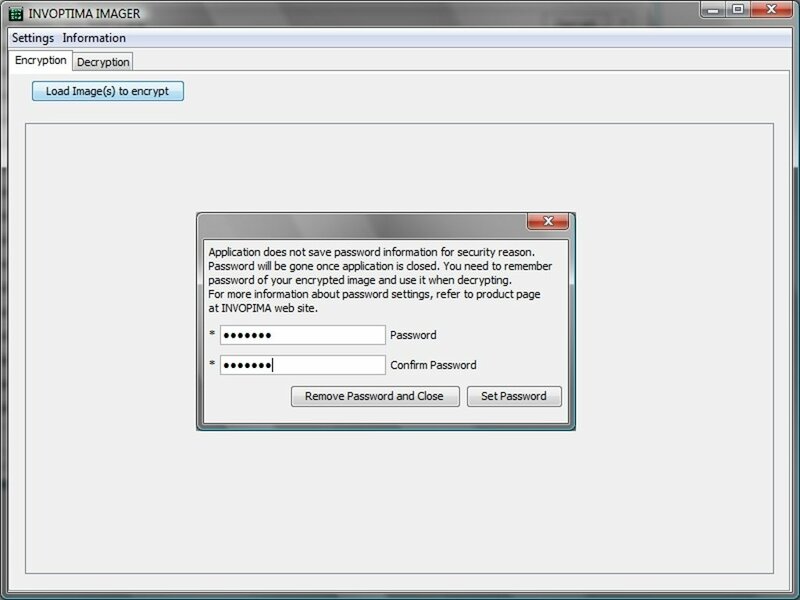 The trial version doesn't allow to protect the application by means of a password.